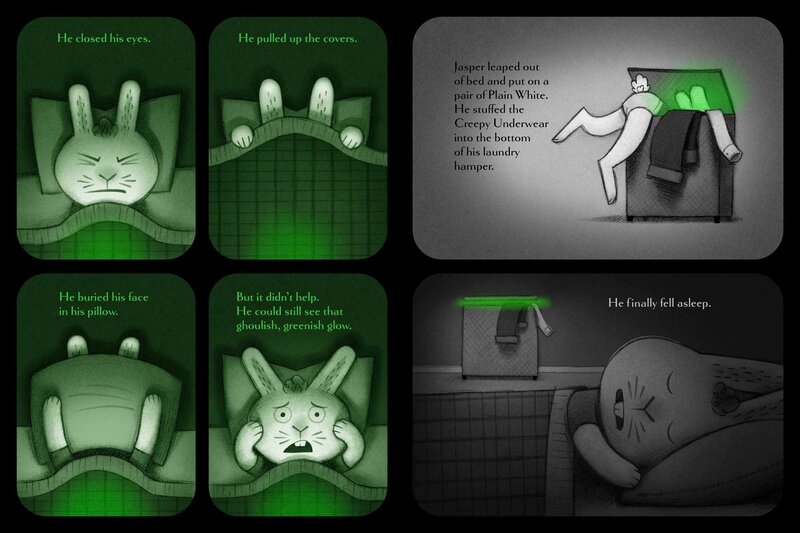 Summary: Jasper Rabbit, the protagonist of Creepy Carrots! is back in a spine-tingling tale of underwear gone bad. 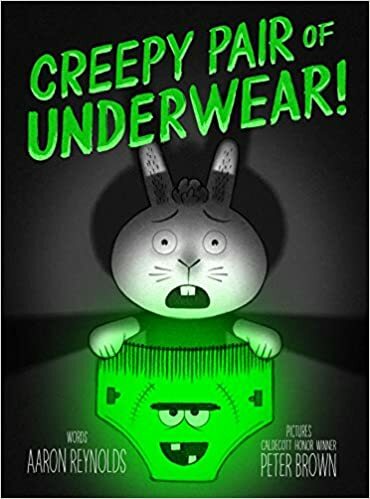 He convinces his mom that he’s old enough to handle a creepy pair of underwear, but when he wears them to bed, he discovers they glow in the dark. He quickly changes to white, burying the creepy pair in the hamper. The next morning…he’s wearing the creepy underwear! He tries throwing them in the trash, mailing them to China, and cutting them into shreds, but they keep coming back. Finally, Jasper takes them on a long bike ride (the creepy carrots make a guest appearance), and buries them deep in the earth. Will they come back again? Or has Jasper finally succeeded in ridding himself of this creepy pair of underwear? 48 pages; ages 4-8. Pros: Just in time for a Halloween story hours comes this perfect blend of spooky and funny from the Caldecott Honor winning team that brought you Creepy Carrots! Any child who doesn’t want to read this book upon seeing the cover should probably be checked for a pulse. Cons: Well…creepy underwear is kind of a con.